Cyber goggles with spike and corrugated tubes. 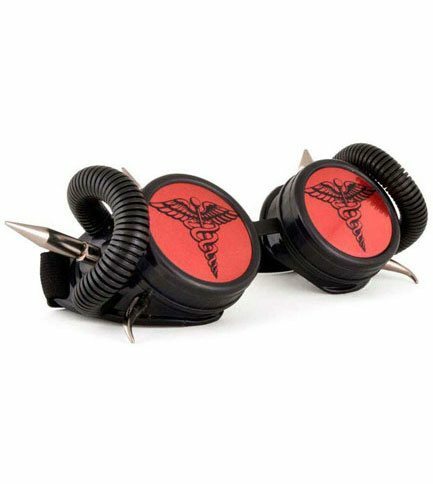 Red Caduceus lenses. 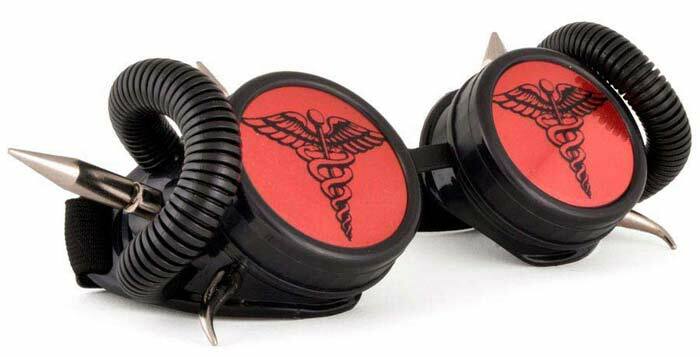 Goggles come with interchangeable lenses pairs, 1 dark, 1 clear, 1 solid silver underlay, 1 opaque red underlay and 1 caduceus graphics. These goggles are fantastic! Well made and comfortable. A great choice.